The fitted jacket is sewn from two fabrics with narrow ¾ sleeves and standing collar and has a back pleated peplum. 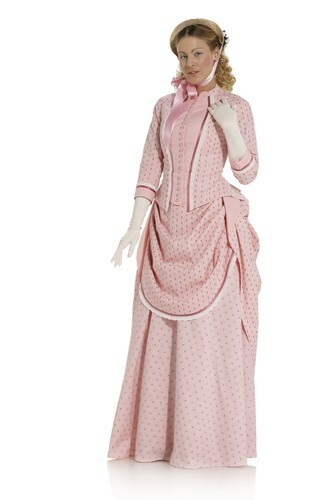 It is authentically embellished with ribbons and lace and with many buttons. 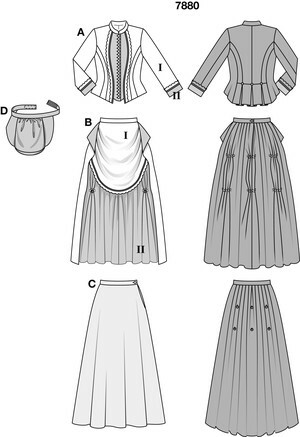 The skirt with bustle is made of two sections. 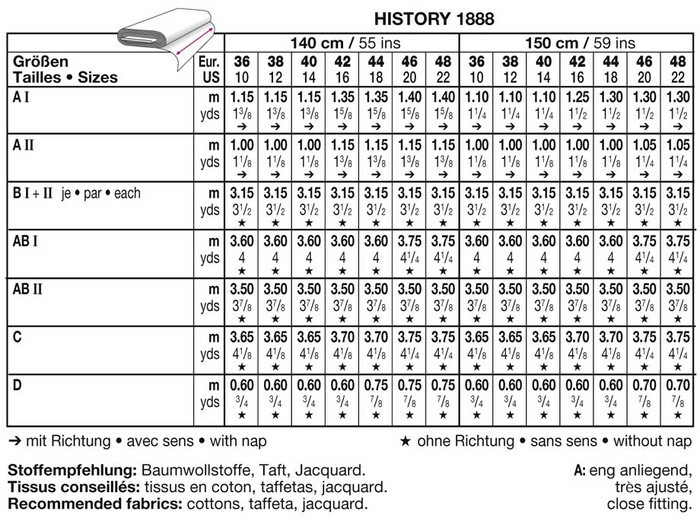 The overskirt front is short and pleated. In the back, it is gathered up with the help of hooks and attached to the separate underskirt. A stuffed bustle with waistband gives the skirt the necessary support.